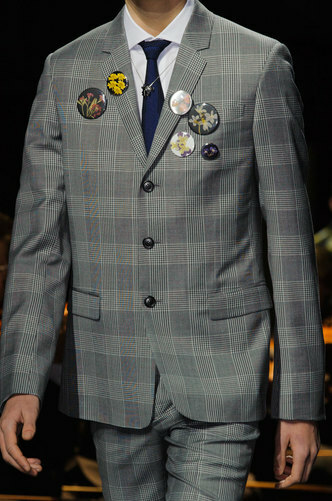 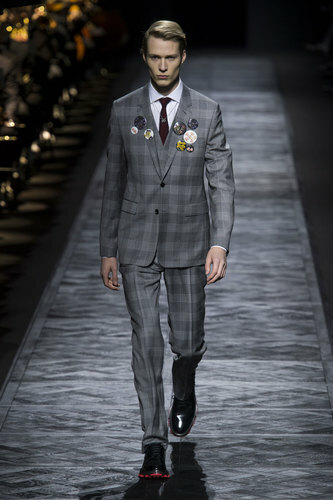 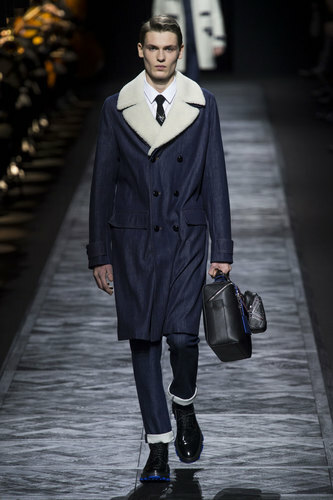 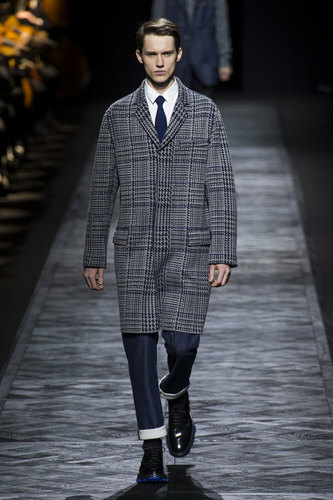 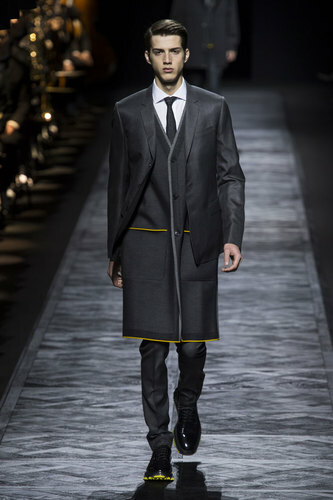 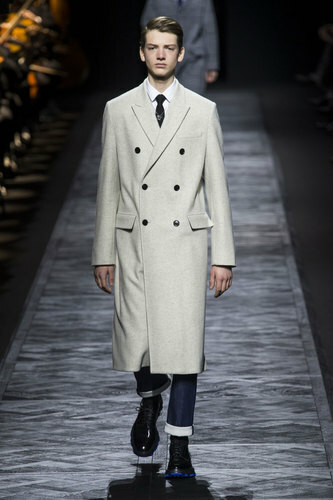 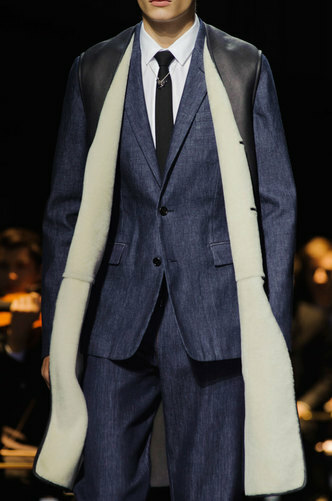 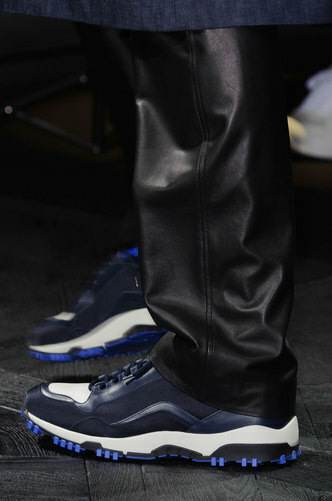 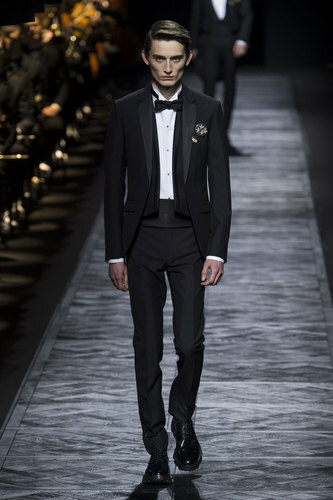 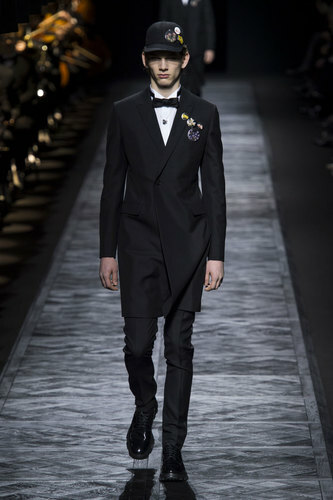 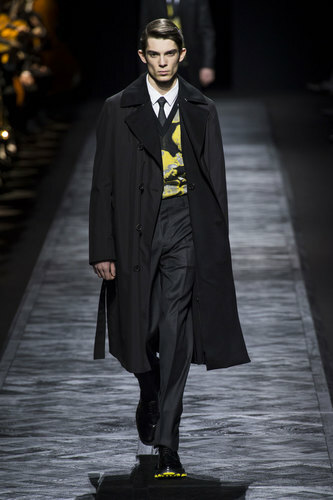 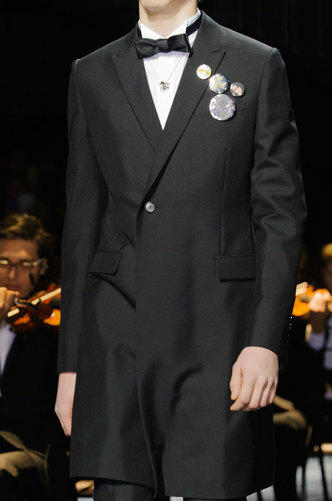 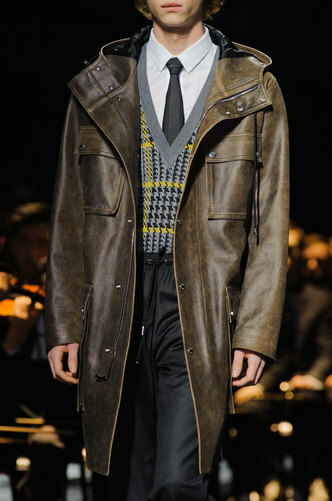 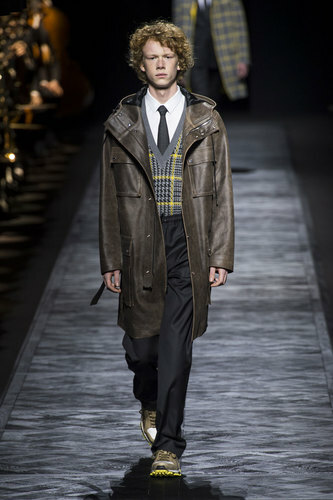 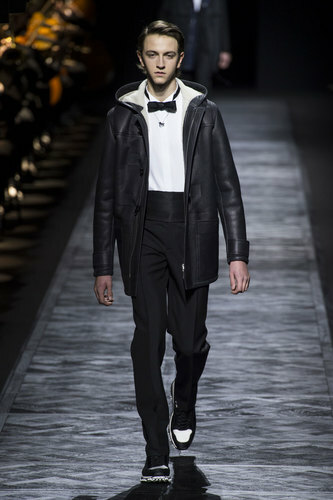 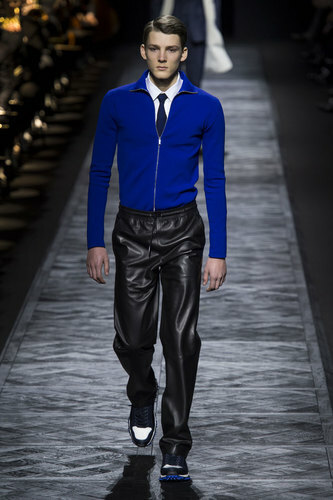 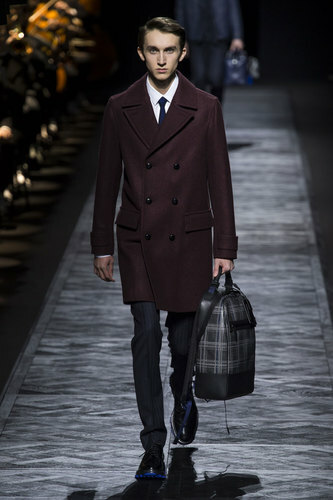 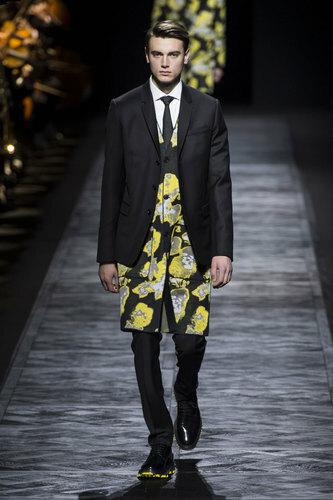 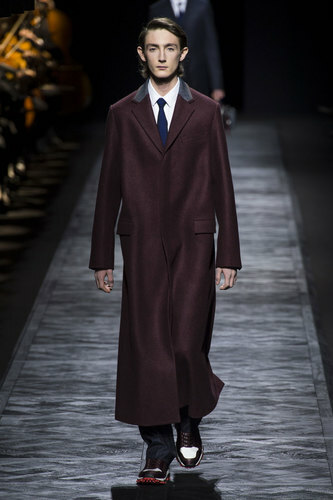 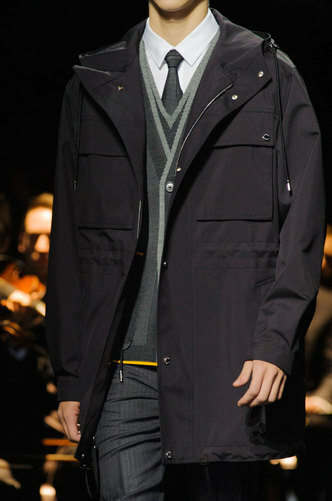 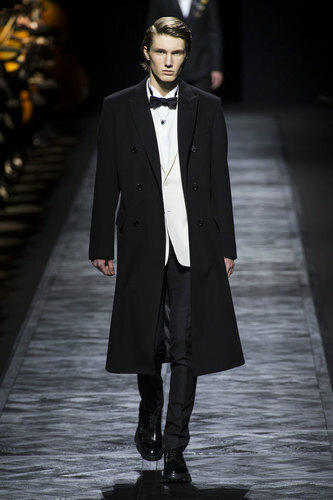 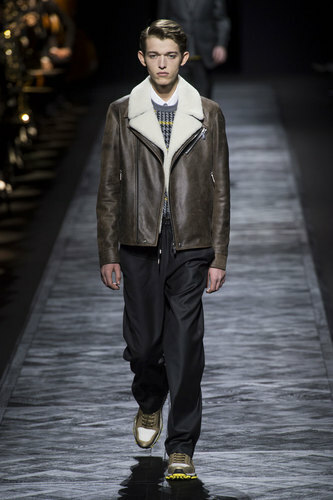 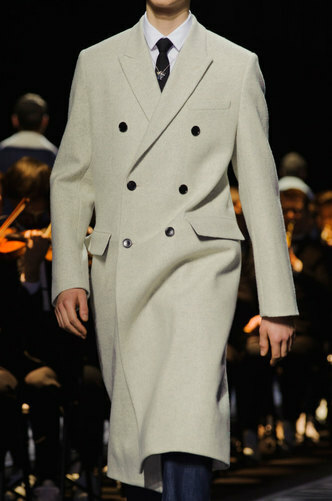 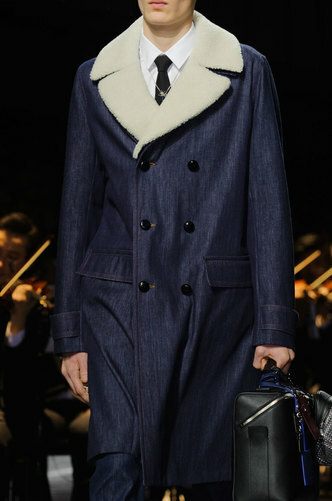 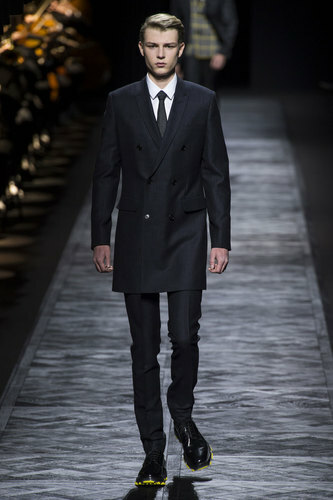 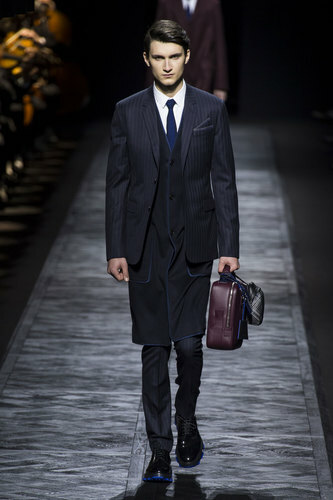 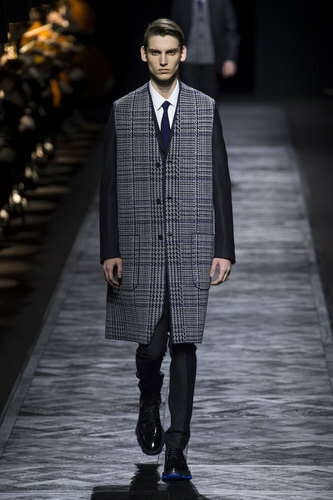 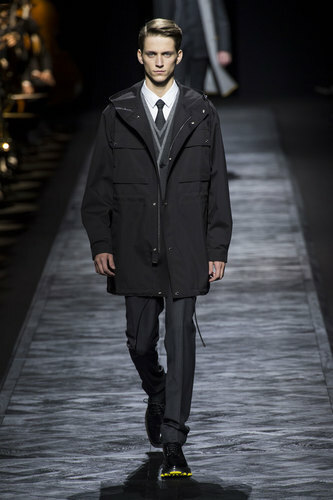 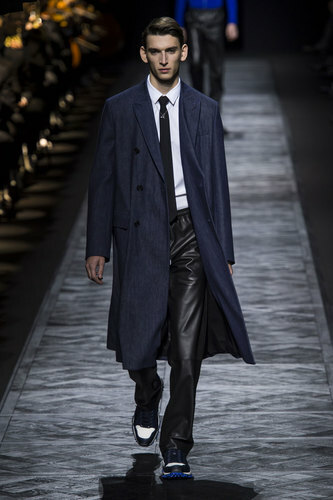 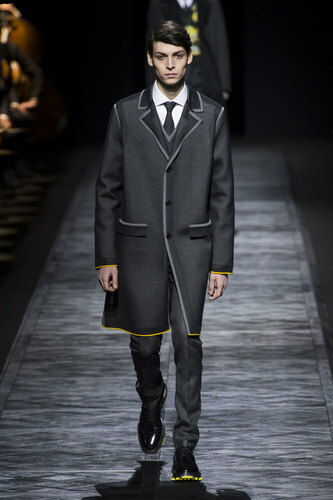 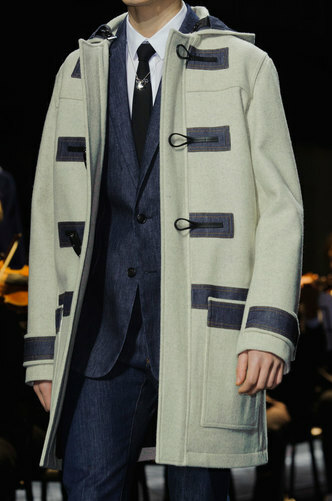 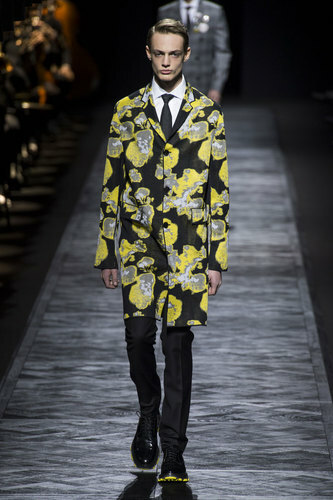 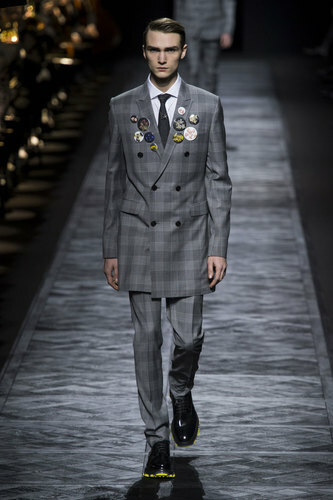 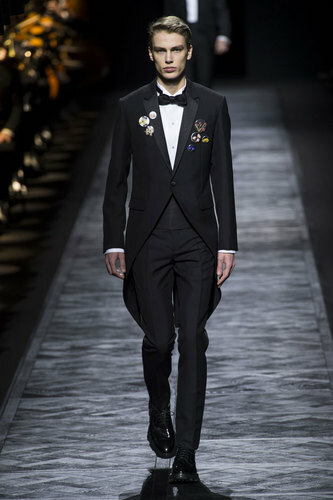 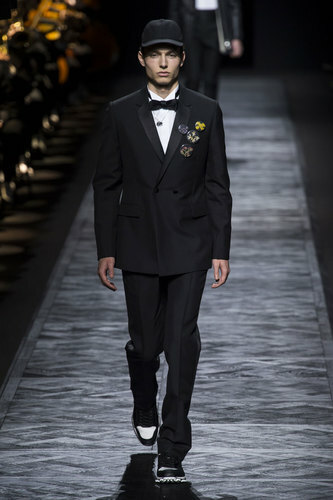 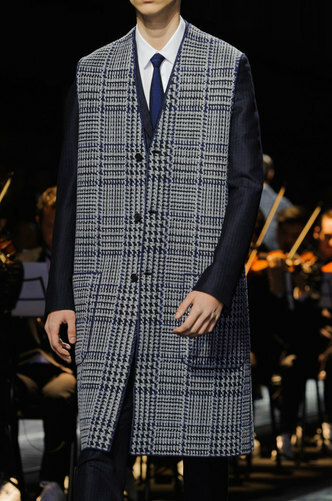 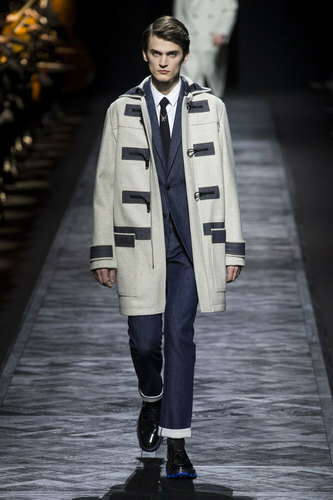 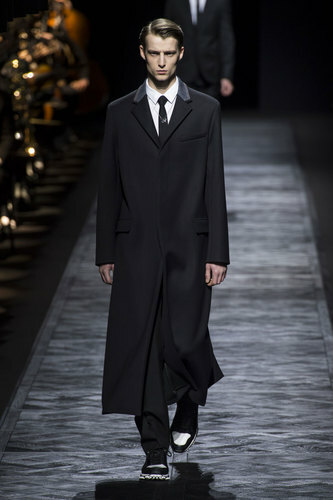 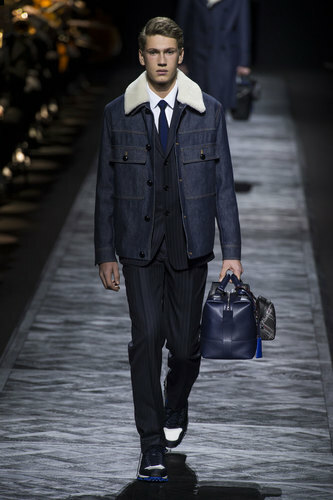 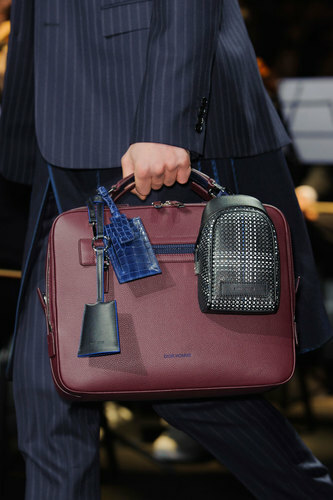 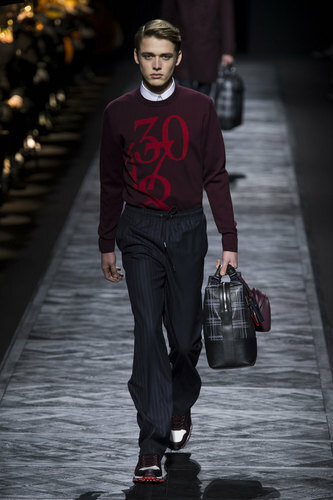 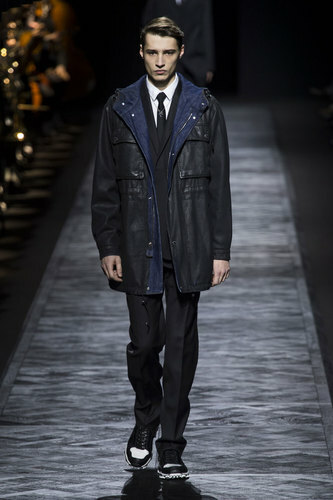 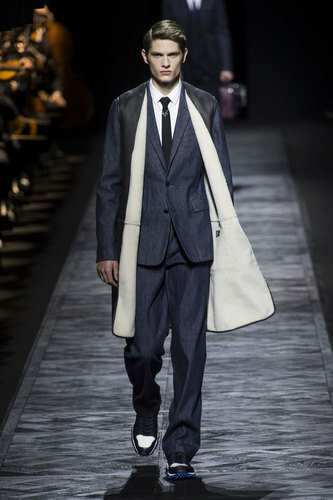 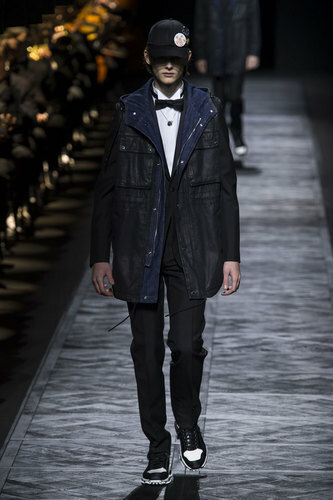 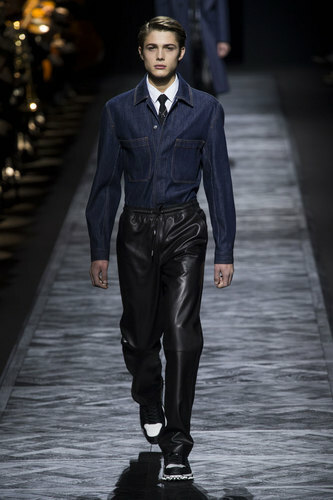 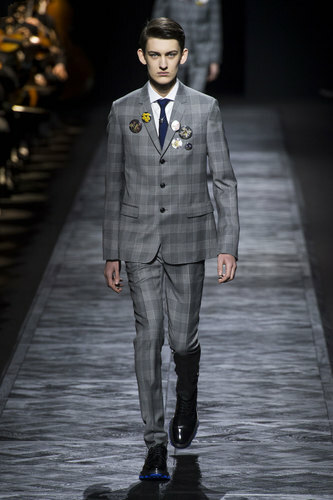 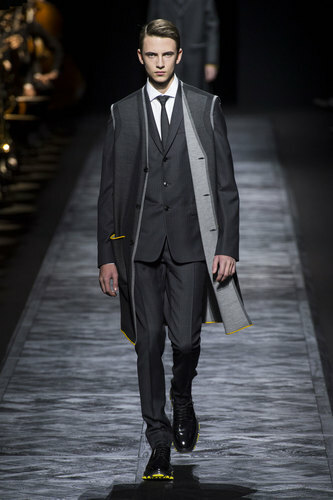 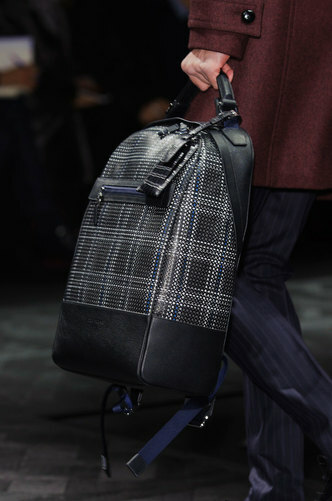 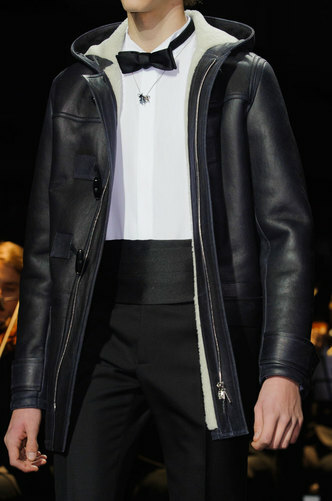 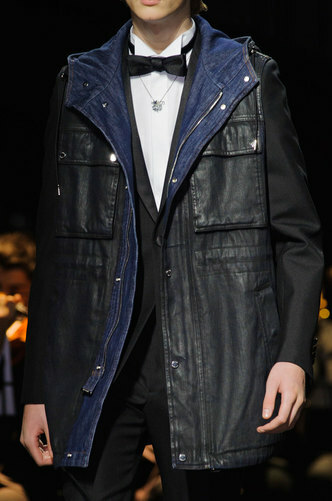 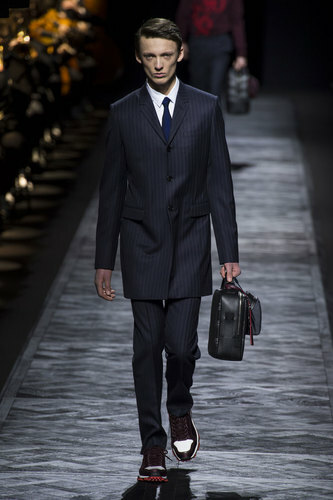 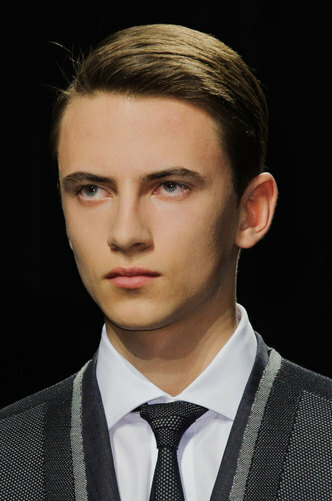 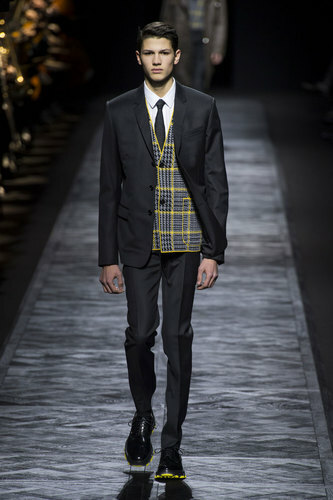 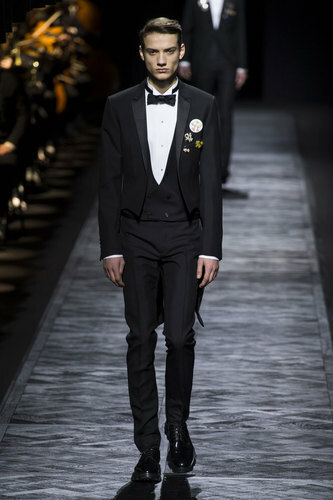 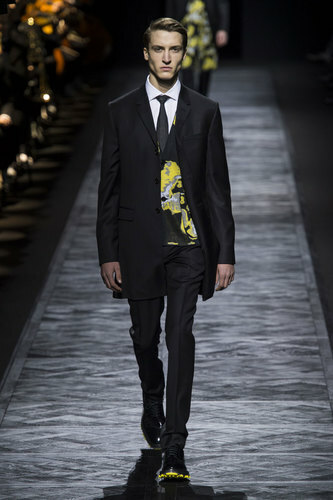 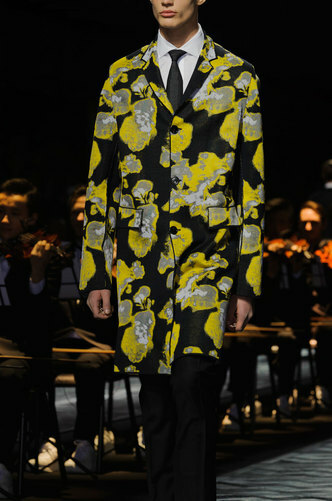 Dior Homme Autumn-Winter 2015-16 – Dior’s contribution was nothing short of stunning. 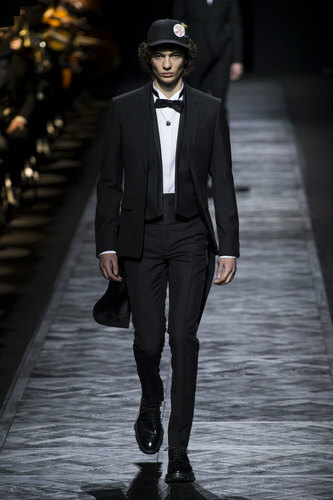 The runway was fuelled with complete class as the finest dressed men appeared in pure black suits, white fitted shirts and bow ties; like something out of ball. 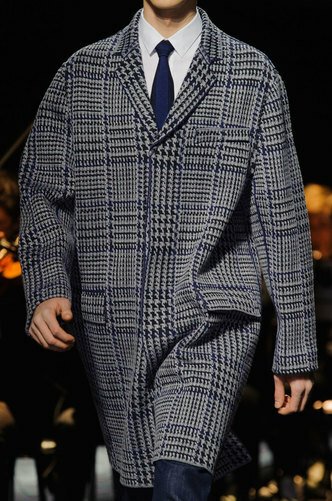 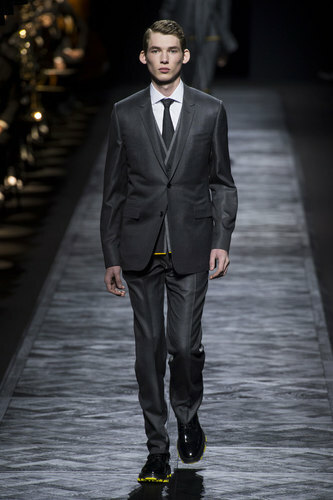 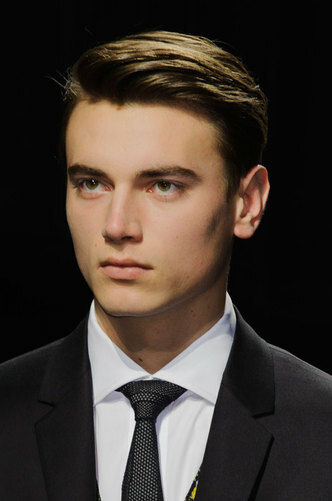 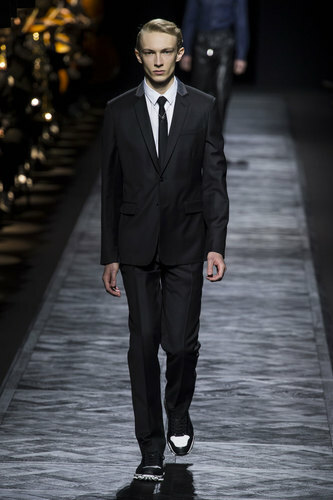 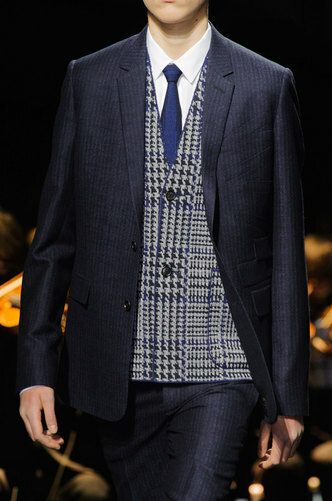 Pure black suits that have been mocked up with different shapes defines more of the torso and the cuts themselves. 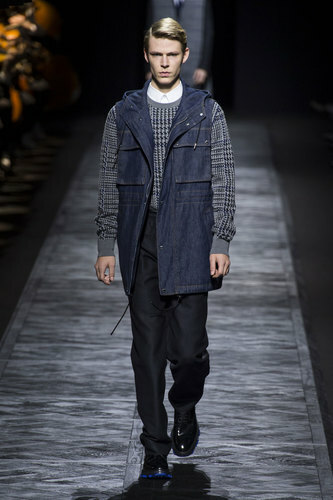 Perfectly tailored trousers against fitted white shirts and a slight change in layering with outerwear and a waistcoat is not only charming but the whole outfit works together in unison. 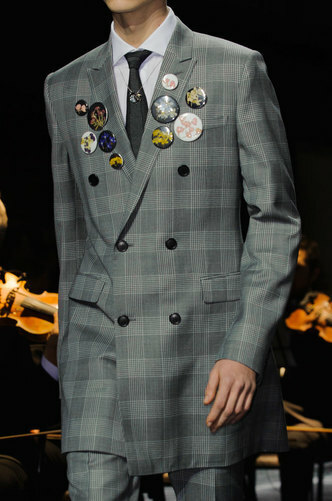 Note also the used of added badges across the chest makes the outfit more gimmicky and relaxed. 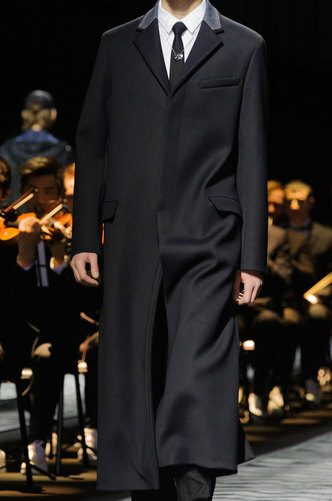 As with the touch of a flat peak hat; again in pure black. 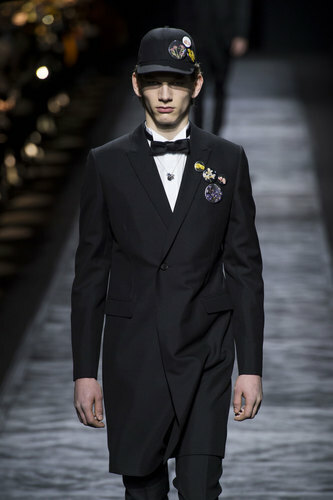 Long gone are the days of the top hat and tails. 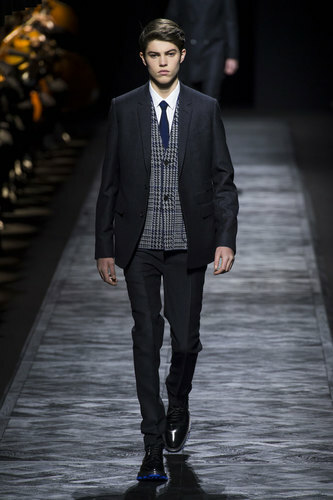 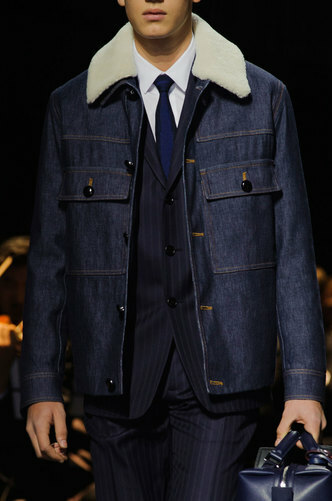 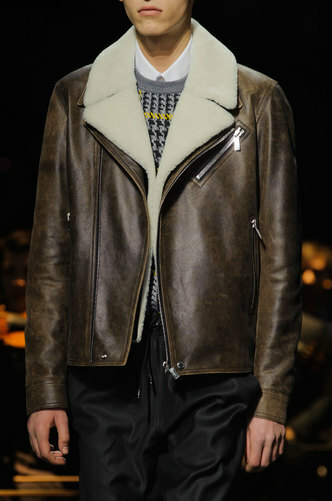 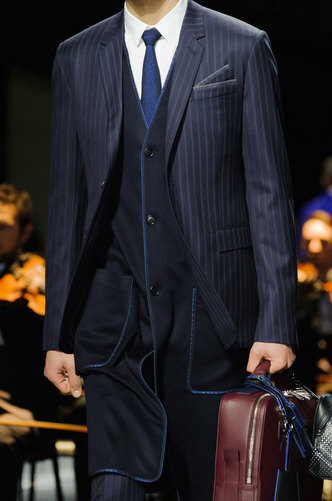 The contrast in the smart suit wear comes with the blend of denim and leather. 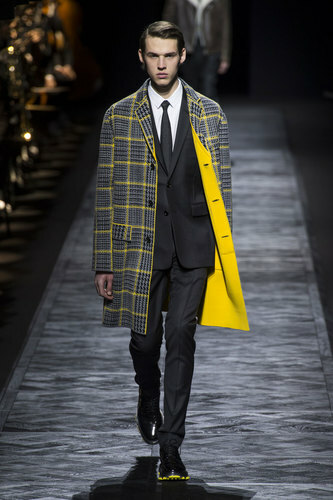 The break up of these textures and colours makes a comfortable yet effective image. 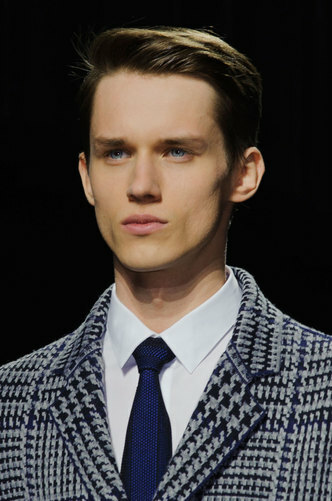 Slim fit and long line cuts elongates the male whilst still keeping a trim and clear cut finish as a whole.